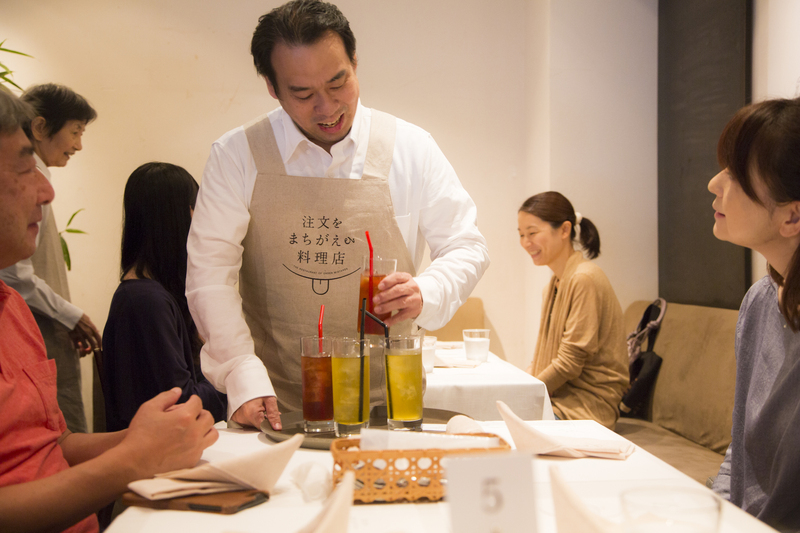 Have you heard of the “Restaurant with Mistaken Orders?” It’s a strange name for a restaurant where the floor staff is composed of people with mild dementia. “Dementia doesn’t mean they can’t do anything at all. They may get the order wrong, but we want to be a society where we can accept that as part of being human,” we though, and this project was born as a result. The pre-event held in June 2016 attracted considerable attention in the industry, and was covered by international media. 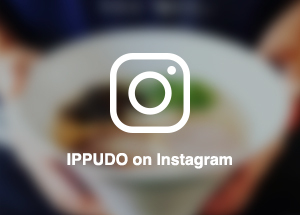 Ippudo agreed with this concept, and was able to cooperate at the September 2017 event by providing the menu. Here is our report on the event. 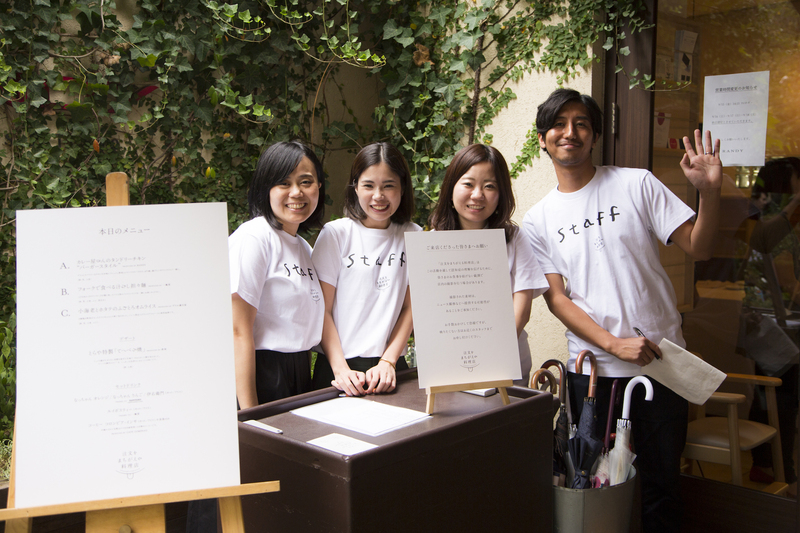 On September 16, 2017, restaurant RANDY in Roppongi, Tokyo, was transformed. 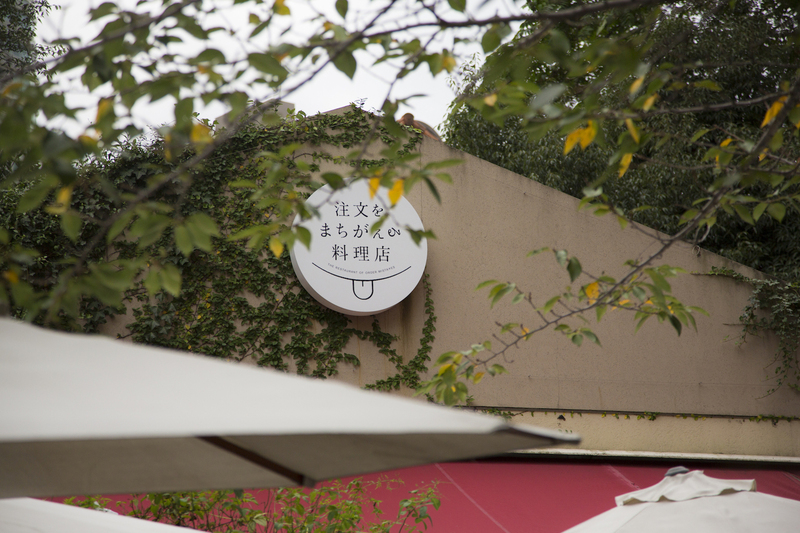 Suddenly the sign outside read “Restaurant with Mistaken Orders,” with a humorous logomark of a mischievous tongue. Designed after the (ﾉ≧ڡ≦) emoticon, it well represented the global import of the project. 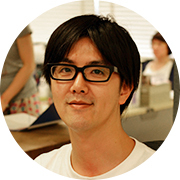 The original idea was conceived by television director Shiro Oguni. He had worked with dementia patients when making his own documentary, and understood the issues they faced. 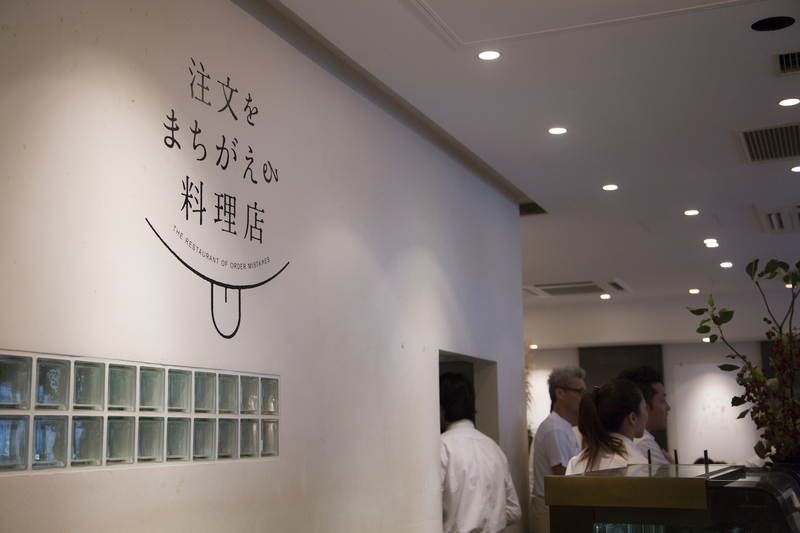 The idea for the restaurant was born from that experience. Oguni：The name “dementia” covers a very broad range of medical conditions. It varies from patient to patient, and can change depending on place or time. Sometimes the problem is evident, other times they converse perfectly normally. Many times they can hold down jobs. Instead of isolating them from society, I wondered, couldn’t it be possible to find a way for them to live within society. I hope that this experiment provides part of the solution. At the pre-event in June the concept was well-received, and gained considerable support. Working capital was attracted through crowd funding, making the dream a reality. 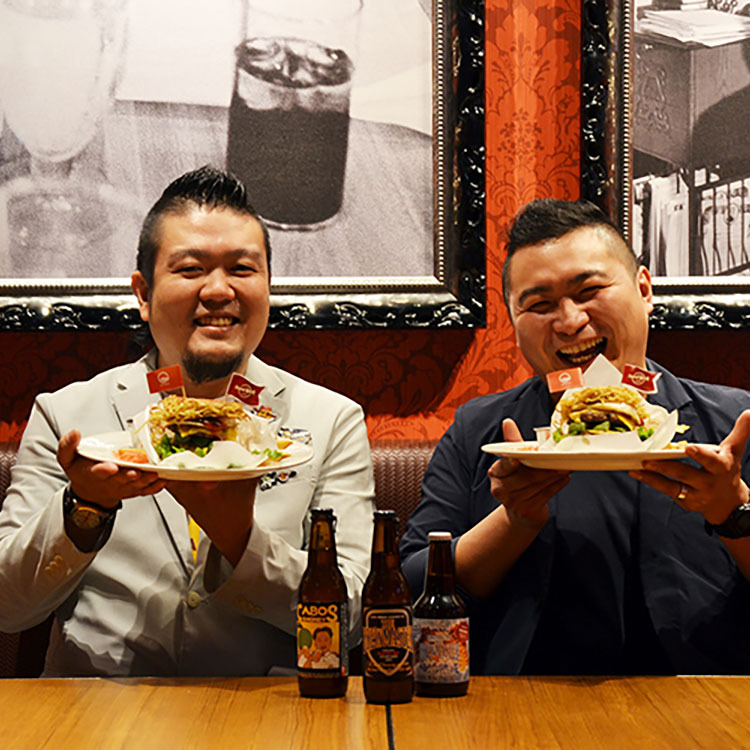 Ippudo was one of the restaurants approached to develop a special menu for the “Restaurant with Mistaken Orders.” Daiki Sakashita, the person in charge of product development at Ippudo, recalls the situation well. 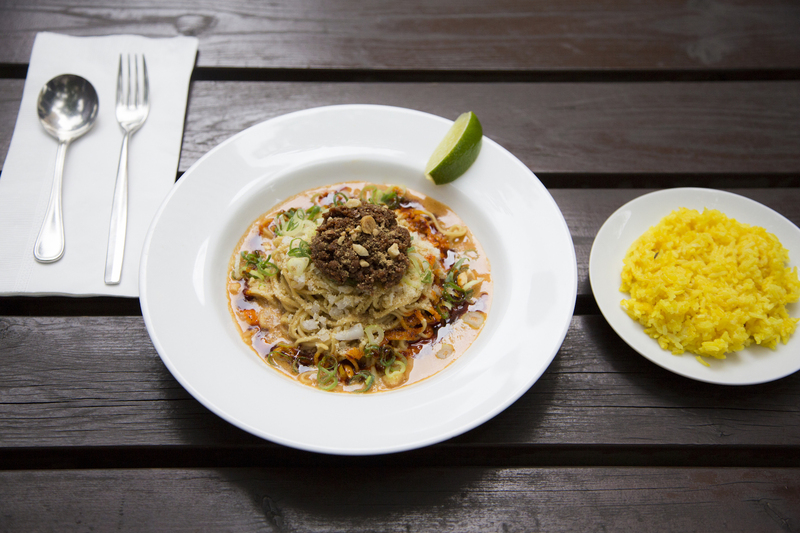 He developed a brothless variety of dandan noodles that could be eaten with a fork. After the noodles were gone, Jasmine rice was mixed with the leftover sauce. Sakashita：I thought it would be a really significant event even at the first meeting, and it occurred to me then that if I had to make something, it wouldn’t be ramen. Most dementia patients are older people, and I figured I should avoid hot foods and liquids that could be spilled. I wanted something that was easy to serve but still uniquely Ippudo—and brothless dandan noodles seemed to be the answer. 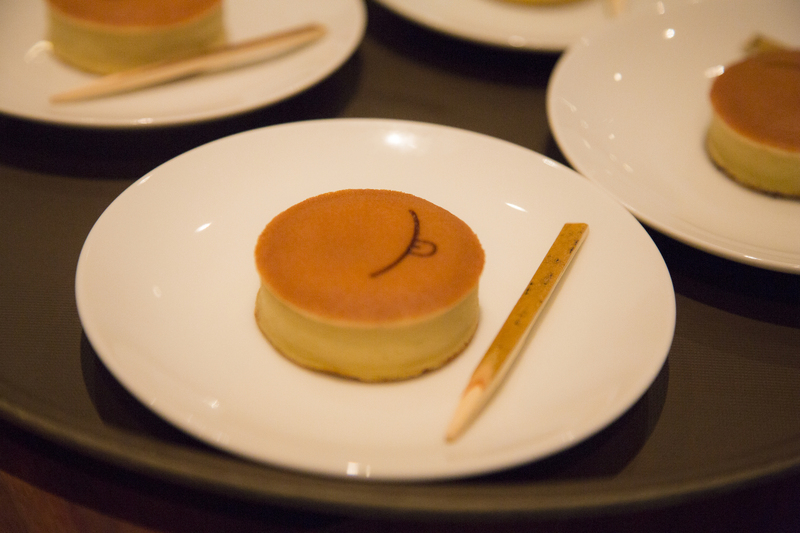 In addition to Ippudo, menu items were created by RANDY, Grill Manten Boshi, Toraya, Café Company, and others. We all made special dishes just for this event, and we all made delicious foods that would still satisfy even if the server got the order wrong. In this case, the servers would be dementia patients. 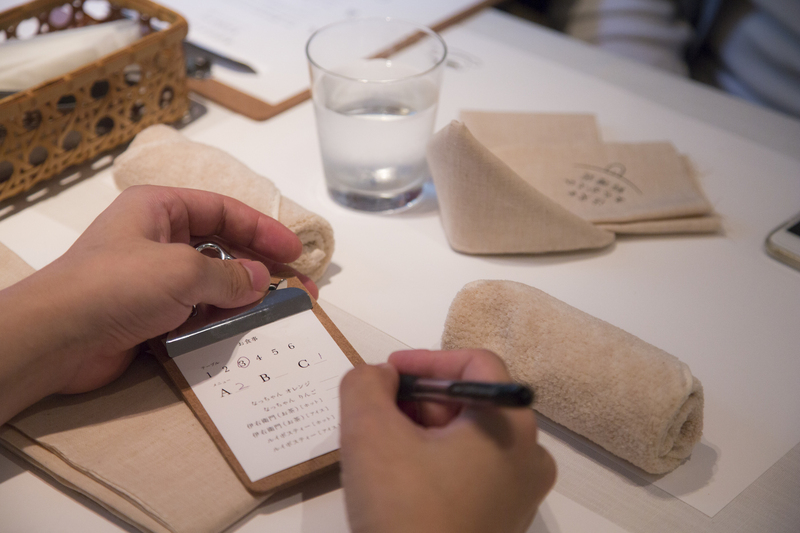 Customers marked their orders on a special order sheet, helping the servers get it right. Twenty dementia patients were servers. Some of them had participated in the pre-event, but everyone was tense. They all lined up to greet the patrons, then went to the individuals tables to take their orders. All of the patrons were people who had contributed through crowd funding, and understood the goals completely. Even if the servers were unfamiliar with how to take orders, mistakes were accepted with smiles. As the mood lightened, the servers began to relax, and some even began to converse with the patrons. 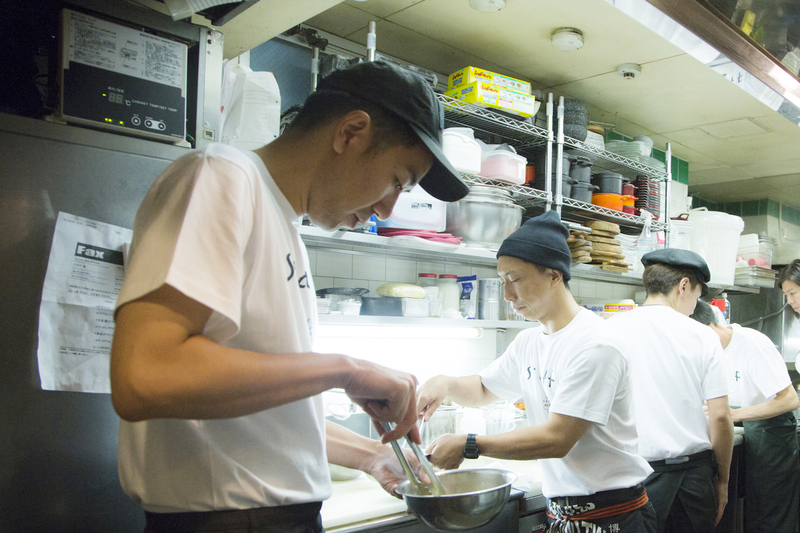 In the kitchen, three teams worked to handle the incoming orders: RANDY, Tenman Boshi Grill, and Ippudo. 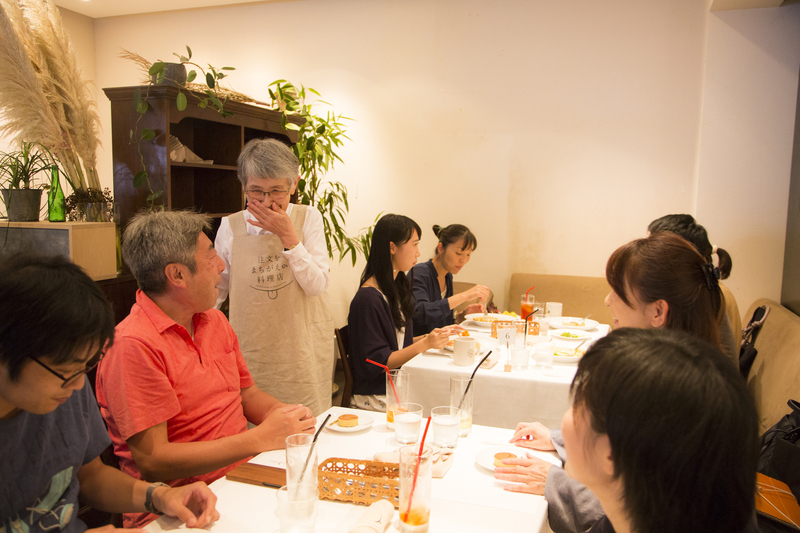 The dishes were prepared quickly and carefully. One of the people in the kitchen that day, Takashi Mikami, had been dispatched to Indonesia by Ippudo in the past, and was then involved in preparations for expansion into Asia. 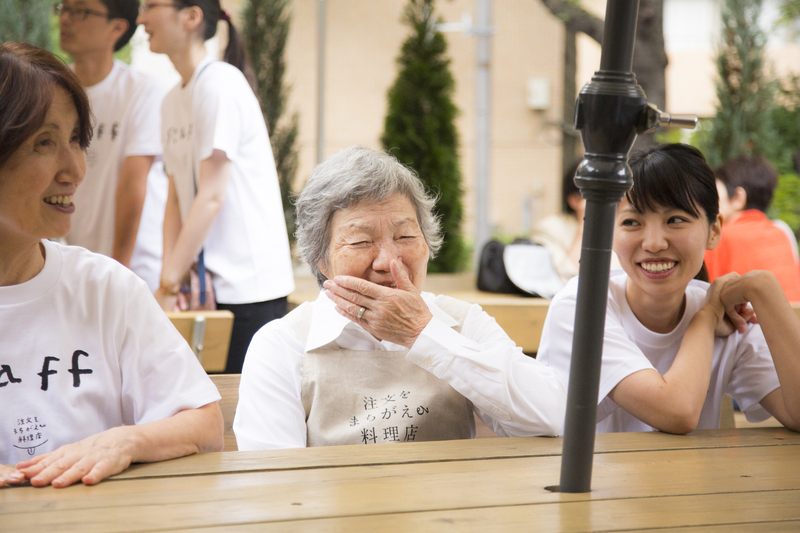 Mikami：We were back in the kitchen and couldn’t see what was happening out on the floor, but we talked among ourselves about how we wanted the public to understand dementia better, and wanted to make a society that was easier for dementia patients to function within. It would be wonderful if people could just accept other people’s differences. The kitchen that day was an ideal example of accepting other people’s differences. Teams from three completely different restaurants met for the first time that day, preparing completely different dishes in the same kitchen. And in spite of the unusual circumstances, we talk to each other and worked together, helping each other. Creating such a harmonious workplace together was a wonderful experience for me. The all-important service… some patrons received their orders exactly as requested, but there were some tables scattered here and there who asked what they had gotten instead. 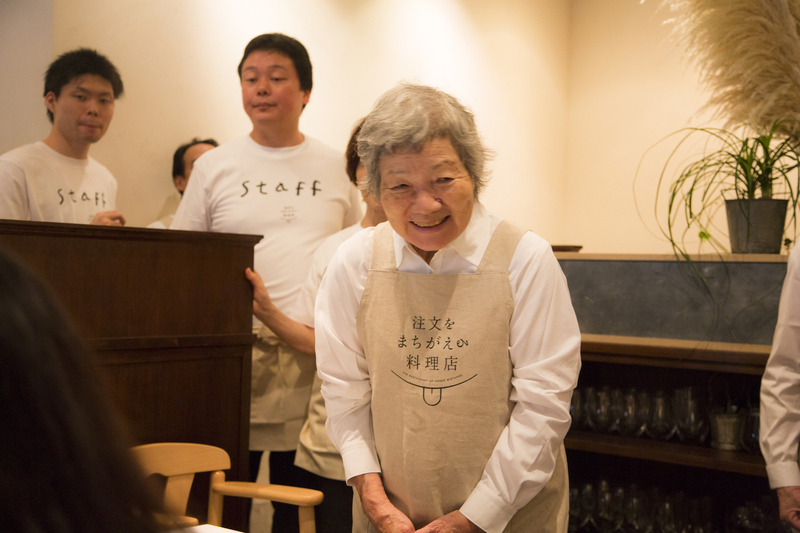 Even when there was a mistake, though, the mood stayed light and friendly, as patrons laughed together with servers, accepting what they were offered with smiles. 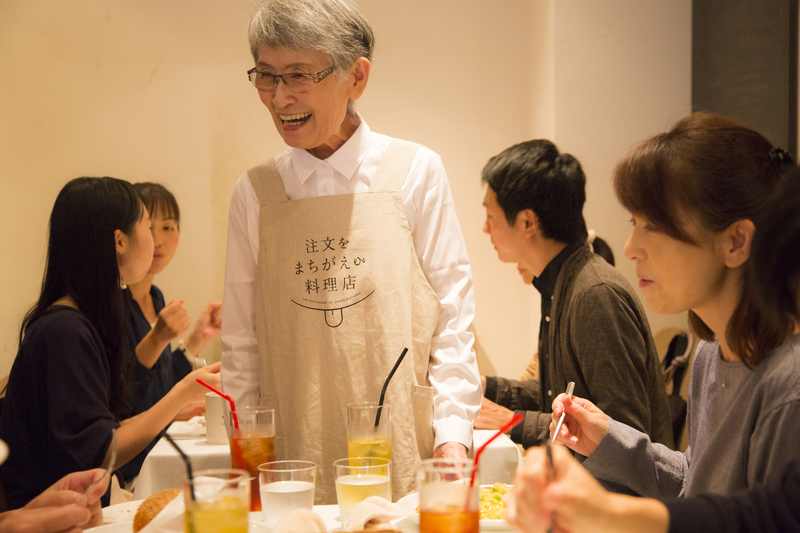 And, in almost no time at all, the servers, even with dementia, were engaged in conversation with the patrons, filling the room with laughter. 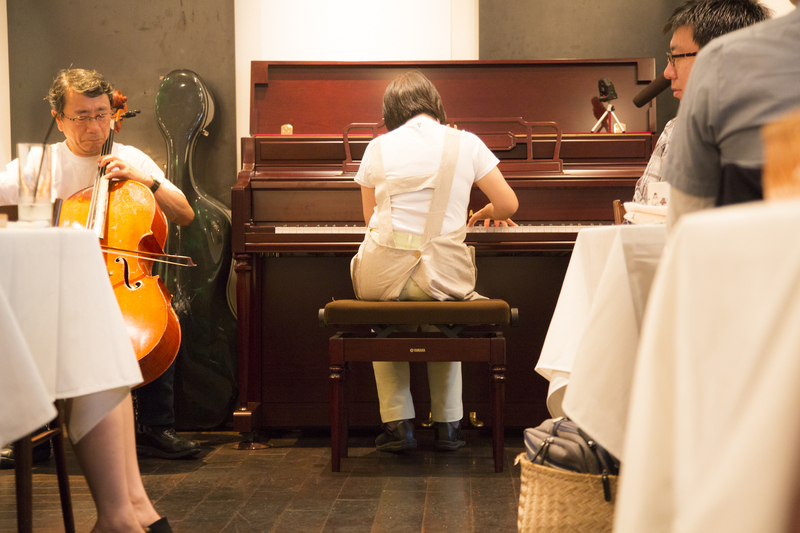 After everyone was done eating, one of the people on the staff that day, pianist Yasuko Mikawa, presented a piece by Bach together with her husband Kazuo. She had been diagnosed with early-onset dementia a few years earlier, and while she was despondent, she began practicing the piano once again with the support of her celloist husband. 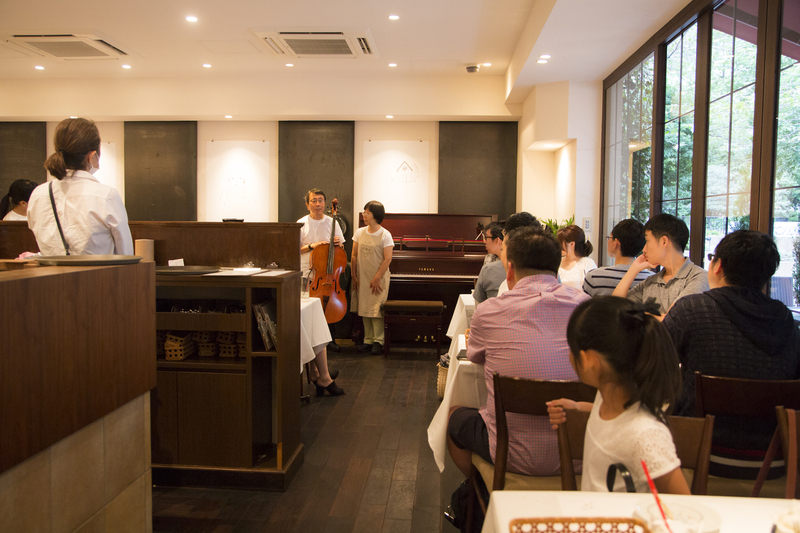 Her performance was no error-free, but when she made a mistake she repeated the phrase until she got it right, and at the end the restaurant erupted into applause. Some of the audience wiped tears from their faces. 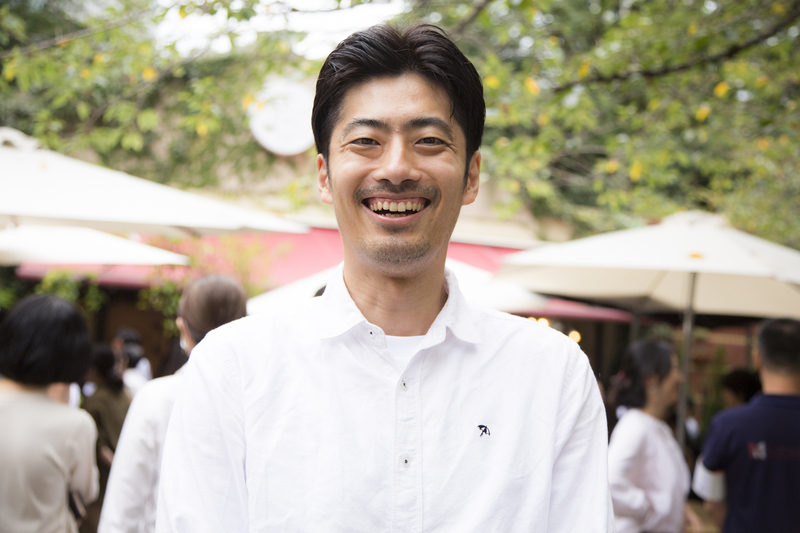 Toshinori Arakawa, a manager who worked as part of the Ippudo kitchen team that day, was strongly affected by their performance. Arakawa：If she made a mistake, she didn’t try to conceal it, but played the part again. At the end of the performance, staff and patrons both applauded. When I looked at her, I didn’t see a dementia patient, but a proud professional pianist. I can’t put it into words, but something very powerful gripped me then, gripped by heart. As a ramen chef, I wonder if I can move people that way, if I really affect them in such a positive way. The experience made by re-evaluate myself as a professional. Shiro Oguni, one of the founders, talked with us after the event. 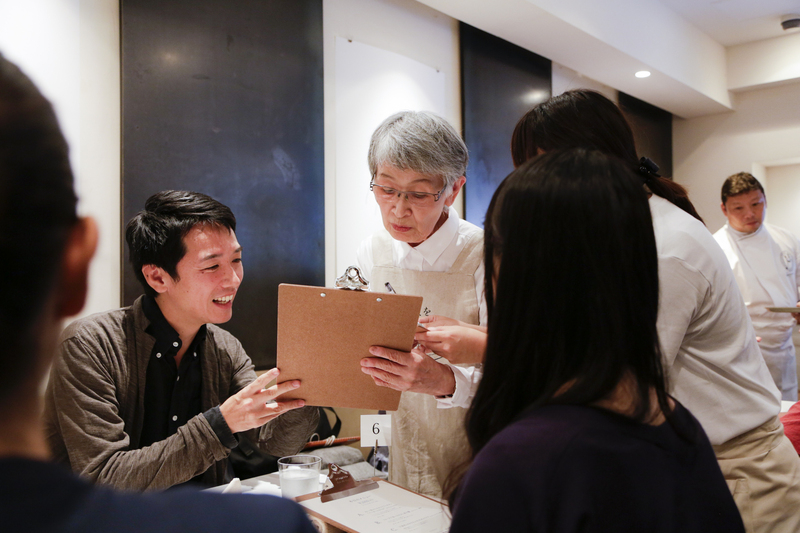 Oguni：At the pre-event, about 60% of the orders were wrong, but that improved to about half this time. We demonstrated it is possible, with consideration for the staff, a good balance of what tasks are left up to them, and appropriate operating procedures. If society as a whole can learn to laugh and accept the situation even when there’s a mistake, I think a lot of people could lead much happier lives. This type of restaurant won’t suddenly cure any of these patients, and dementia still faces a whole host of other problems, but if society could adopt something like the “wheelchair access” mark—the “tongue” emoticon above, for example—to establish the situation within society, it would help people adjust to it, and learn to accept it naturally. More work is needed on getting it all working smoothly, but it’s start! Oh, and those brothless dandan noodles were delicious! I really hope Ippudo starts offering them on its regular menu! 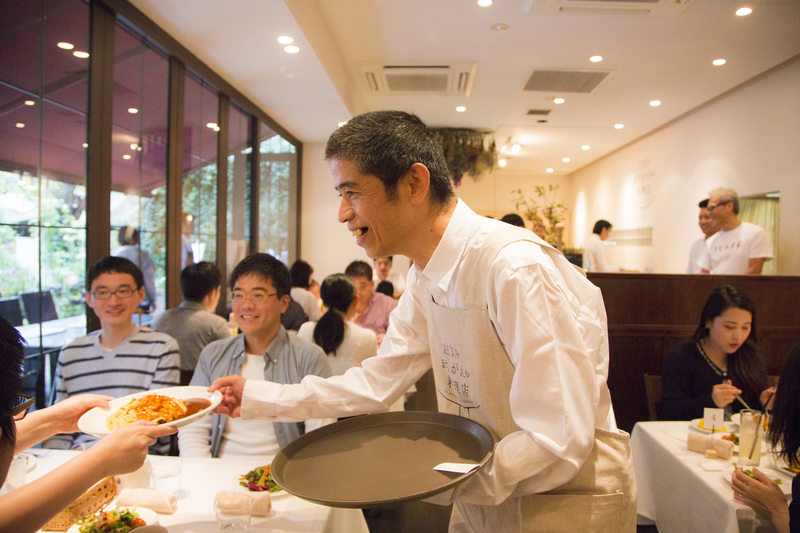 In April 2018, the “Restaurant with Mistaken Orders” was established as a foundation, laying the foundation to make it possible to respond to the many requests flooding in from around Japan to hold a similar event there. Shiro Oguni has been appointed executive managing director of the foundation, and is driving the continuing effort to make society friendlier and more accepting for everyone. 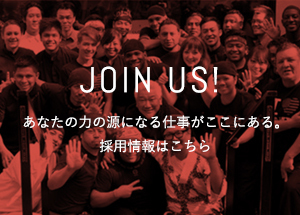 We here at Ippudo are determined to work with them to make it happen.